Where to Buy Hercules Putty, Catchmaster Hercules Putty HP1-15 - Roll - $16.95 for Sale with Fast Free Shipping! Catchmaster Hercules Putty HP1-15 - Roll will hold a full pound of wild Norway Rat. Instant Soap N Water Foaming Cleanser - 9..
Catchmaster through exclusive research into rodent behavior has discovered that with the use of our new Hercules Putty placed into each corner of our traps, the traps will hold a full pound, (454 gram), wild Norway Rat. Black adhesive putty that will not run in the hottest weather and still hold the glue trap containing a one-pound, wild Norway Rat. 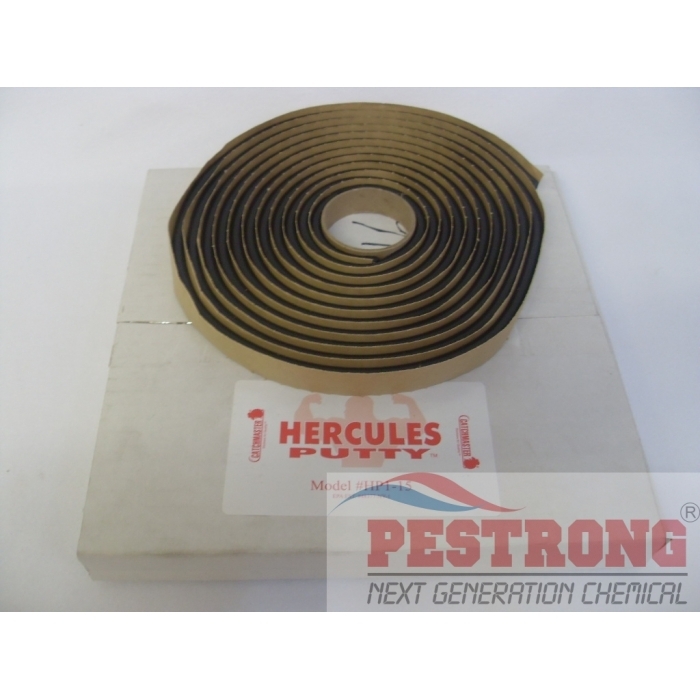 HERCULES PUTTY will not be affected by cold weather. HERCULES PUTTY can be distributed to pest control technicians by taking a 5 to 6 inch strip with CATCHMASTER's release paper and enclosing the HERCULES PUTTY in the same, making this product easily transportable. Hercules Putty can be removed easily by scraping with a putty knife or simply by picking it up by hand. This product will not stain floors. Hercules Putty can be applied to cement, asphalt, ceramic tiles, wood floors and many other surfaces. You can use Hercules Putty for many other fastening applications such as: securing ketch-all, tin cats, bait stations, etc. Very good product for extra large surfaces. Placed on large cardboard box and laid on barn floor. Was effective in capturing large barn rats. Easy clean up with peanut butter. Also, best online price. Thanks for your product. Extremely sticky! Works fine for rodents and others.